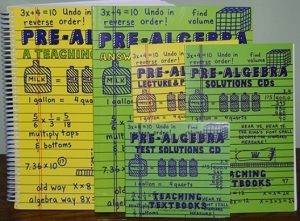 Teaching Textbooks can be used for homeschooling students as a complete homeschool math curriculum. There are special curriculum packages for Geometry, Pre-Algebra, Algebra, and Pre-Calculus, and also there are grade specific packages for third through seventh grades. Each package includes textbooks, answer keys, tests, and coordinating CDs. Parents may also choose to order only the CDs for some grade levels. 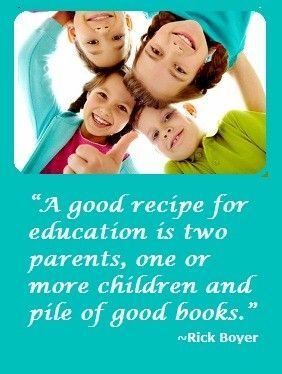 The textbooks are known to provide exceptional explanations for all lessons introduced, which makes it easier for homeschooling parents who may not already be math whizzes. The biggest advantage to using Teaching Textbooks is the extra help explaining lessons. Parents are sometimes intimidated by the idea of presenting advanced math concepts to their children, and it doesn’t help that some homeschool mathematics programs deliver very little instruction in student textbooks. Teaching Textbooks deliver a lot more information in each textbook and the answer keys give correct answers for every problem presented in the program. Not only does this make it easier for students to guide themselves through math lessons, but it helps parents who need to learn along with their children to serve as effective teachers. Parents do not have to be as hands-on when using Teaching Textbooks curriculum. Children can watch the CD presentation of material and work through sample problems on their own, with parents coming in at the end to help with concepts children may have trouble grasping on their own. Parents can also choose to sit with their child through the initial lessons to help in a more hands-on manner. Children who struggle to understand Singapore Math and other homeschool math curriculums often thrive with Teaching Textbooks. This is because this program starts with extremely basic concepts and gradually progresses. This allows children who do not naturally gravitate toward mathematic concepts to understand basic concepts and build on that knowledge. Parents enjoy seeing their children thrive in math while managing their own lessons on the computer. Parents are able to check up on their child’s progress and even ensure their children are checking problems that are missed the first time around. When children are not managing their lessons appropriately, parents will clearly see that when they check their child’s progress. This allows parents to be involved in the lessons without hovering over their child. Teaching Textbooks may not be the best program for parents and children who need to approach math from a higher or more abstract level. Children who struggle with math are able to excel with this program and parents who need to learn alongside their children can do so with this program. This leads to frustration with some children who already know all of the basics and want to jump right to more advanced lessons at each grade level. Some parents have taken their children from lower grade levels of Singapore Math and placed them comfortably into the higher levels of Teaching Textbooks. It is important for each student to take the Teaching Textbooks grade placement test so they are placed in the appropriate program. This is the best way for advanced students to find the appropriate level where they will be challenged. Parents who do not have the time or desire to present math lessons to their children at home tend to love the Teaching Textbooks curriculum. Since each curriculum was designed with the homeschool child in mind, the textbooks are more thorough and self-explanatory than many other math textbooks. The option to only purchase the CDs allows parents to save money. This is especially helpful for parents using this program as back-up to other mathematics curriculums. You do not have to worry about the added expense of manipulative tools or instructor’s manuals with this program. This is not the cheapest curriculum out there, but it is one of the easiest programs to use. 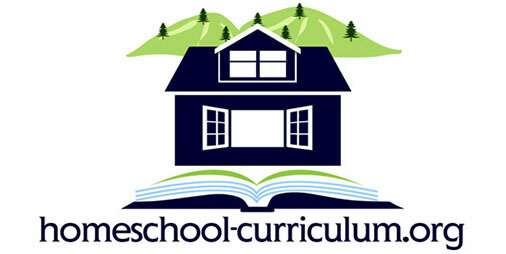 You can buy this curriculum directly from TeachingTextbooks.com. However, the site rarely has discounts or deals on their products there. Occasionally, you can find it cheaper on ChristianBook.com when they run specials or discounts. So if you keep your eyes open for good deals there, you may be able to save some money. I just read that Teaching Textbooks is going to a subscription based online program.